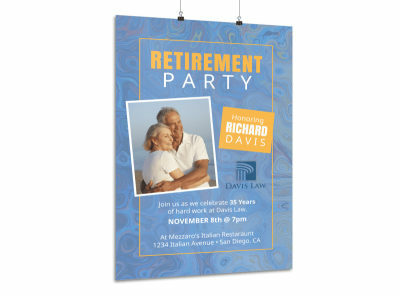 Customize our Happy Retirement Party Poster Template and more! 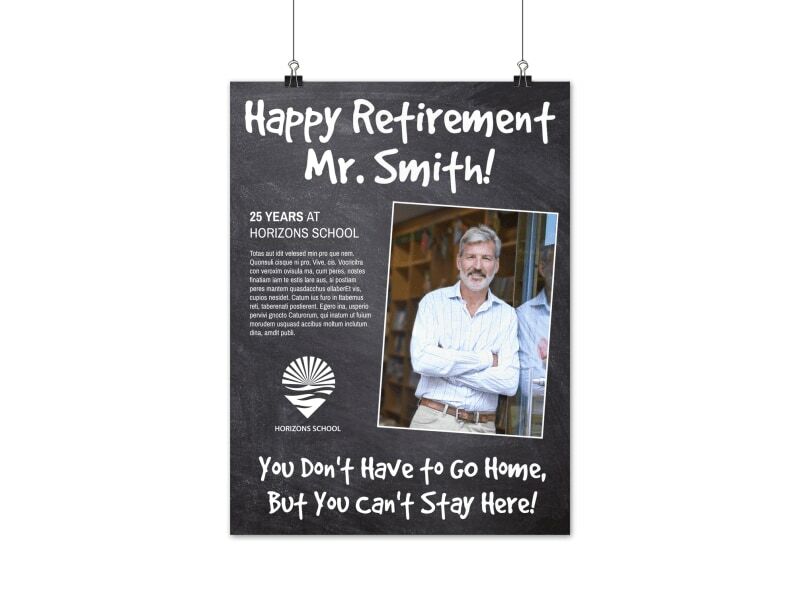 When someone is ready to head “over the hill,” be there with the deets using this fun retirement poster you customize yourself. Provide info on the retiree-to-be, add photos from his or her career, and give a hearty farewell in custom text. Begin the design process today!